Our services cover everything from a basic Stereo installation right up to a full car Entertainment System including TV Screens. Our experienced staff also install Car Security products such as Toad and Thatcham Approved Alarm systems. We offer a De-code service on most makes and models of head units. Whether they are factory fitted or after-market units. Most De-codes can be done the same day. 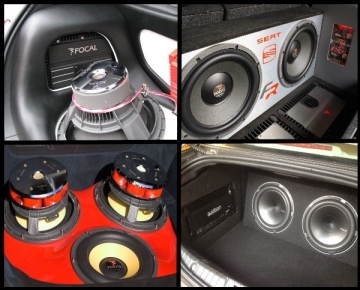 Many of our customers want a full blown custom sound system in their car, at Kingston Car Sound we have years of experience in building and fitting custom boot installations.